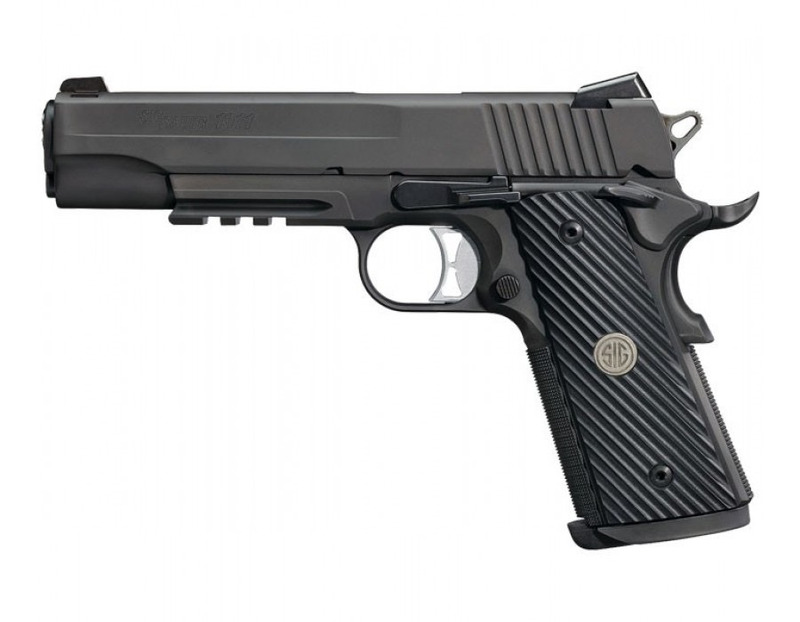 The legendary 1911 design has been brought into the 21st century with the refinement today's shooters demand. The SIG SAUER 1911 proves that close tolerances equal complete reliability and need not be incompatible in an off-the-shelf pistol. SIG SAUER has introduced clean, distinct lines that American shooters have embraced, while retaining the crisp trigger pull, classic ergonomics, and exceptional accuracy they expect. 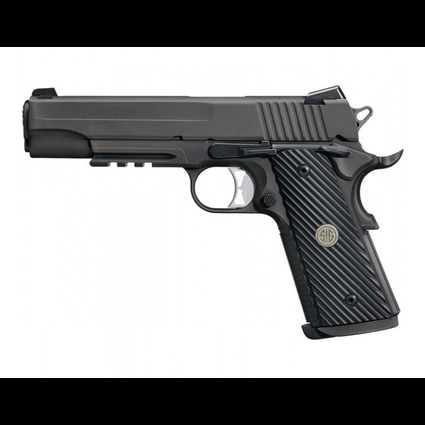 The 1911 Tactical Operations features a SAO trigger, low profile night sights, integral accessory rail, ambidextrous safety, Magwell, and Ergo XT grips. Comes with four magazines. Also available in a threaded barrel version.